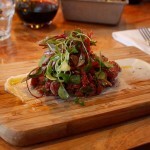 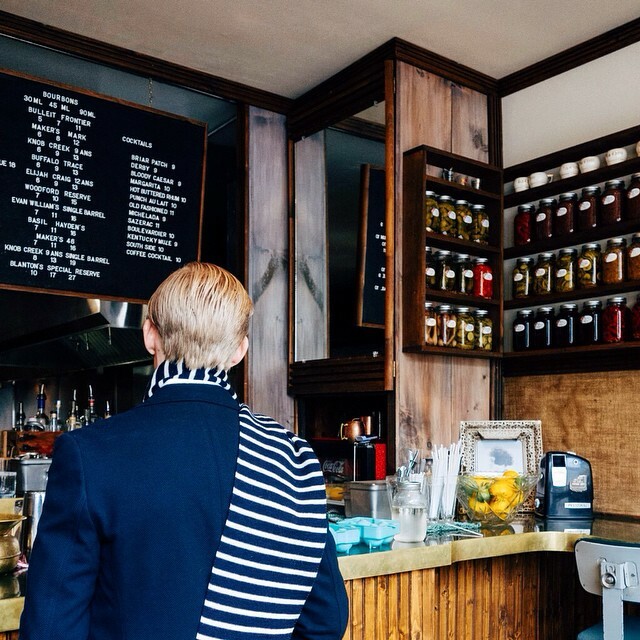 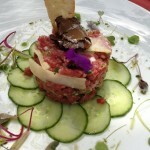 Montreal is known for its upscale dining with French flair and Italian comfort. 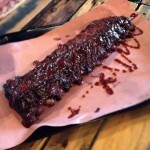 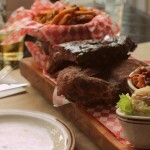 But recently, BBQ joints have been making a name for themselves north of the US border and Montreal has become home to some great traditional Southern BBQ. 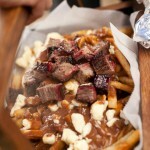 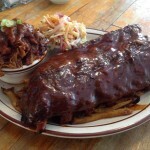 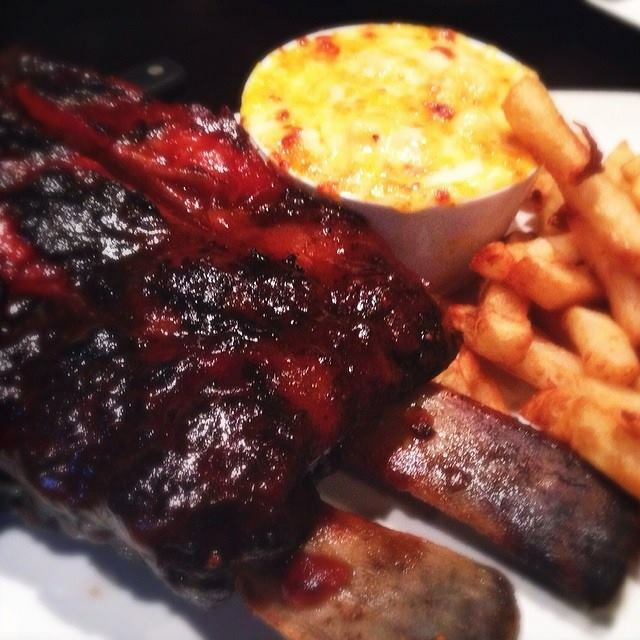 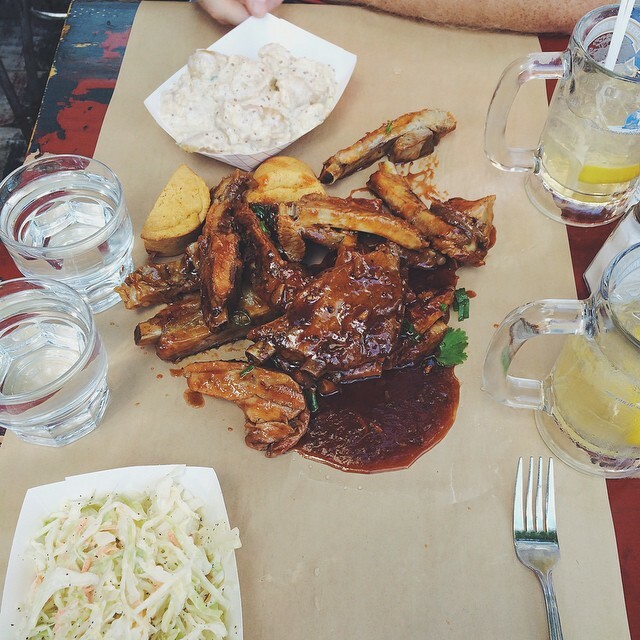 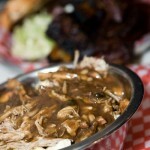 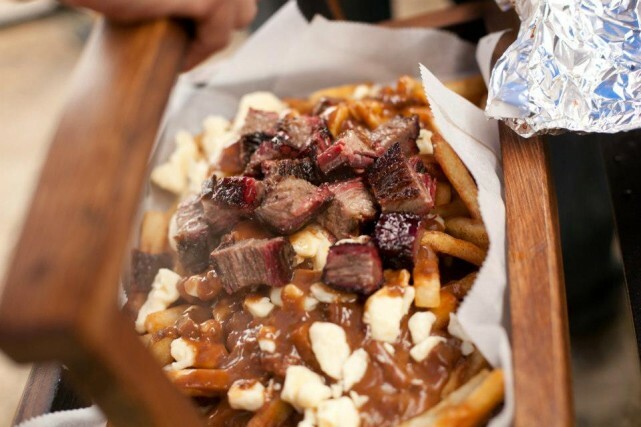 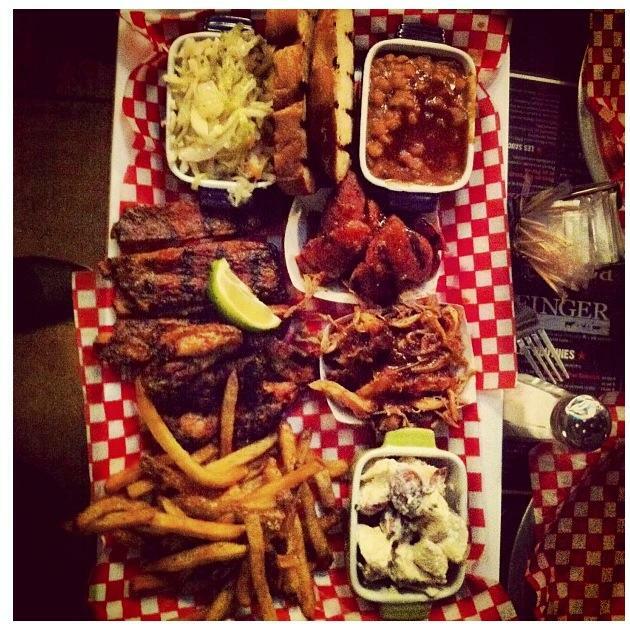 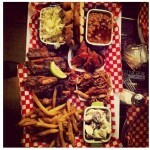 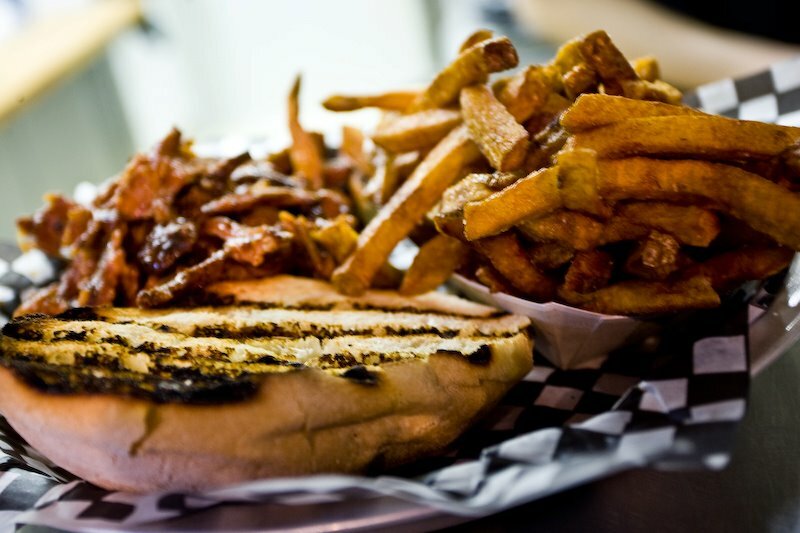 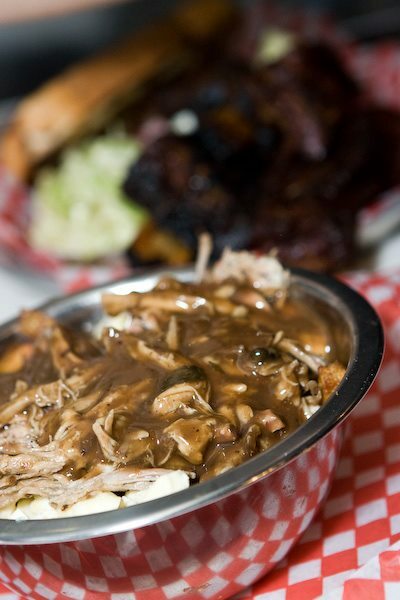 Bofinger BBQ Smokehouse is a staple in Montreal since 2007, now with 3 locations. 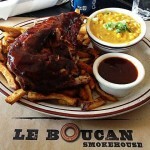 This American BBQ boasts a Southern/Quebec style. 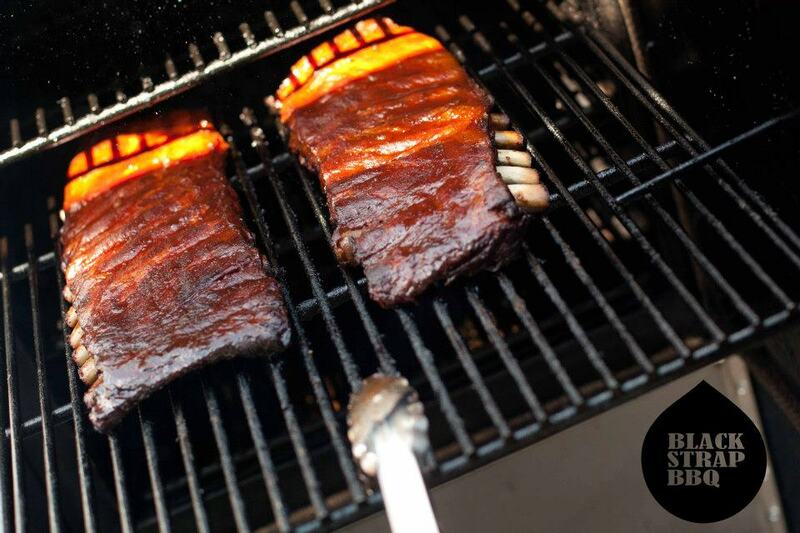 They smoke some of their cuts of meat for up to 24 hours. 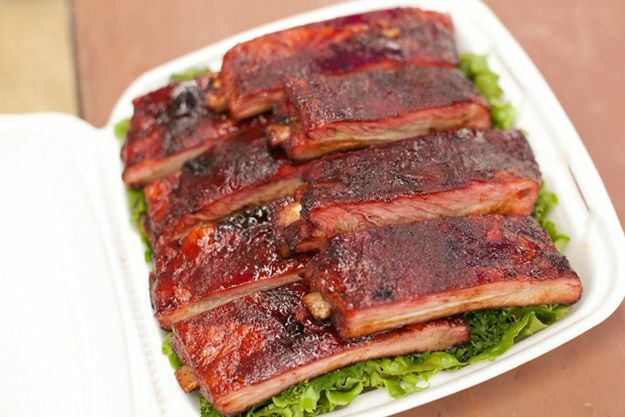 Pick your meat (whether you’re craving chicken, pulled pork, brisket, or ribs), one of their homemade sauces, and a side dish like coleslaw, different salads, baked beans, deep fried pickles, and more. 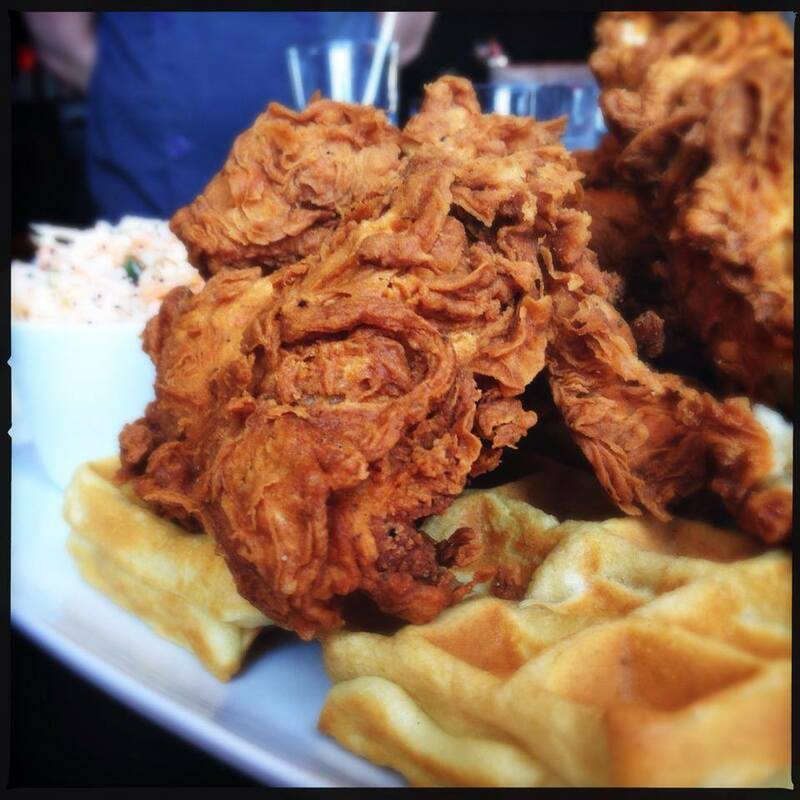 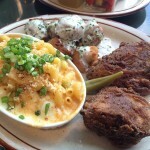 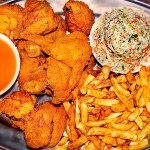 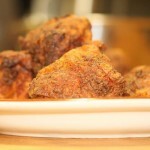 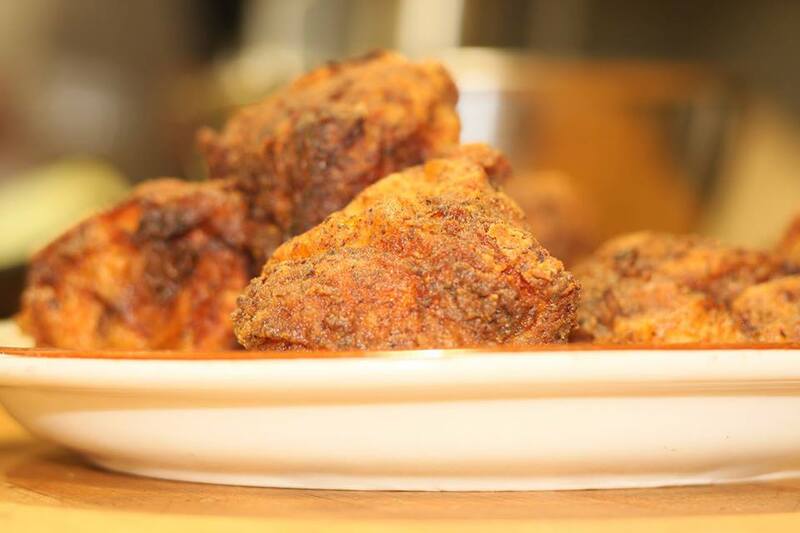 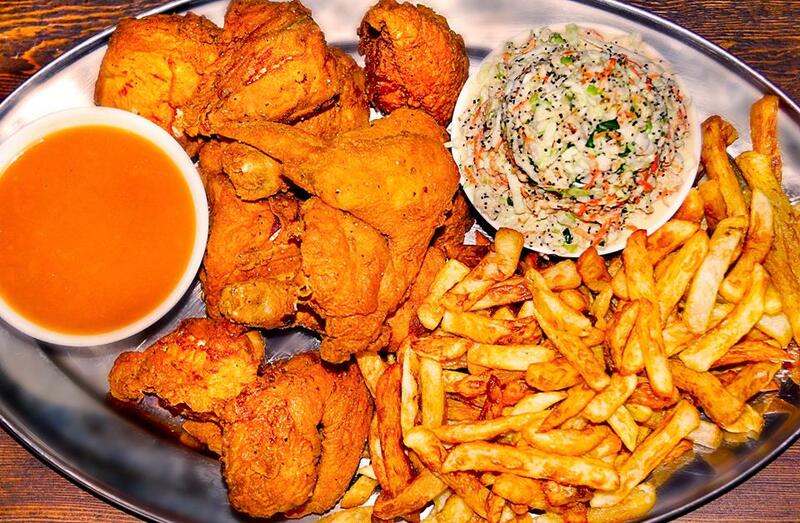 Do you want the best fried chicken in the city? 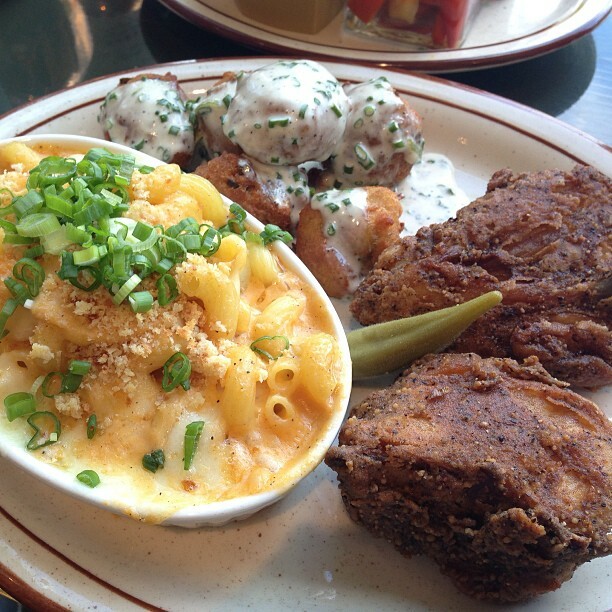 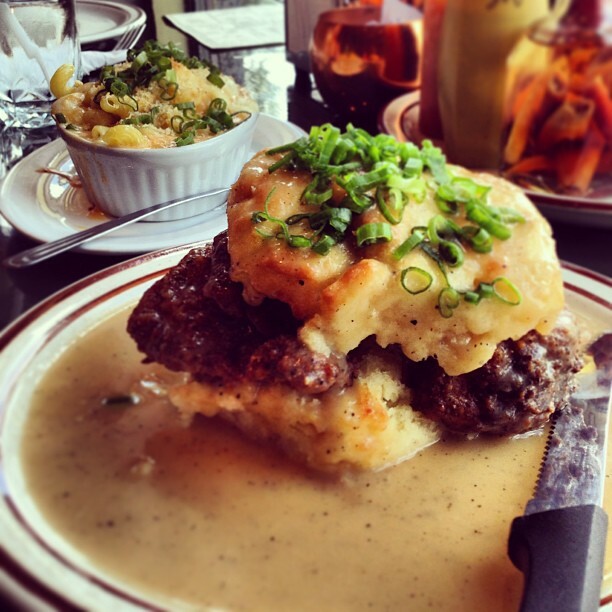 Head to Dinette Triple Crown, located in Little Italy, and you won’t be disappointed. 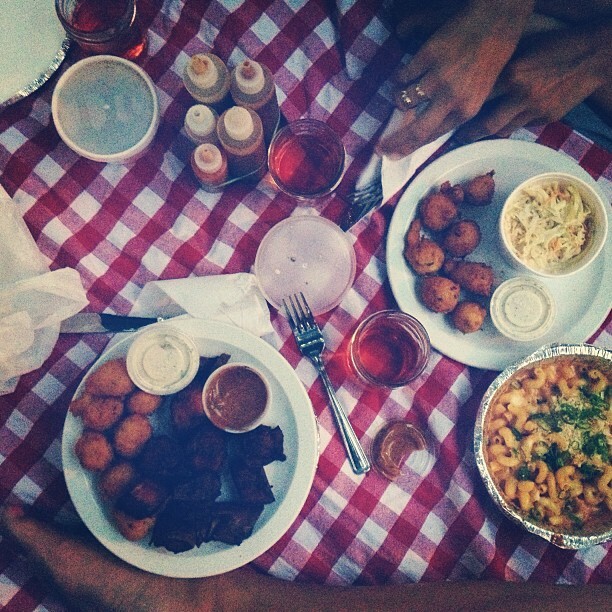 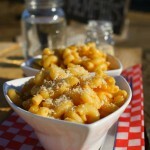 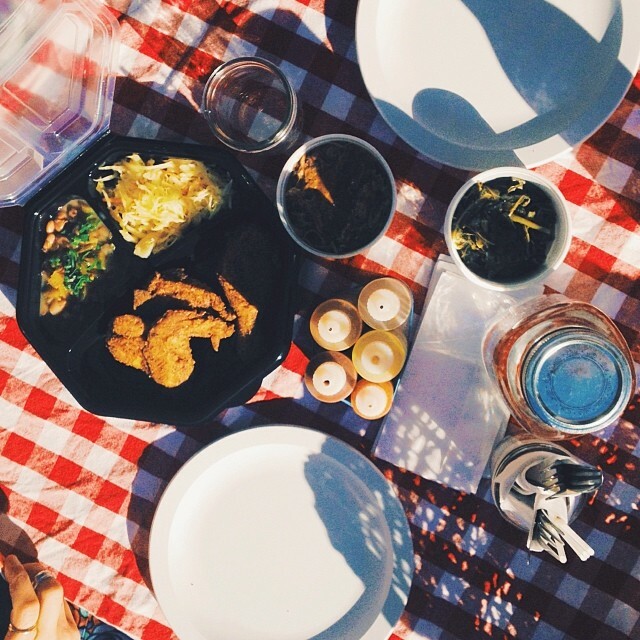 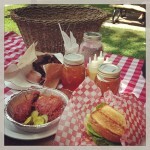 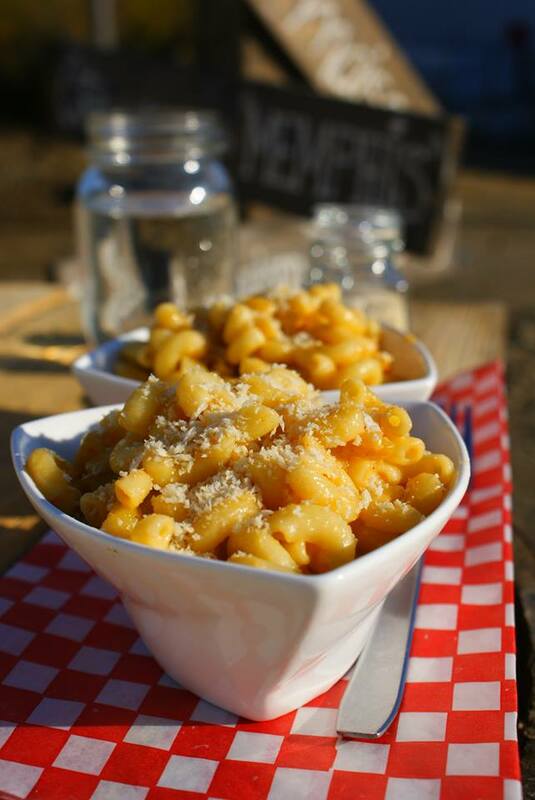 Throw in some classic BBQ side dishes like hush puppies and sweet potato fries, and you have a picnic fit for a king. 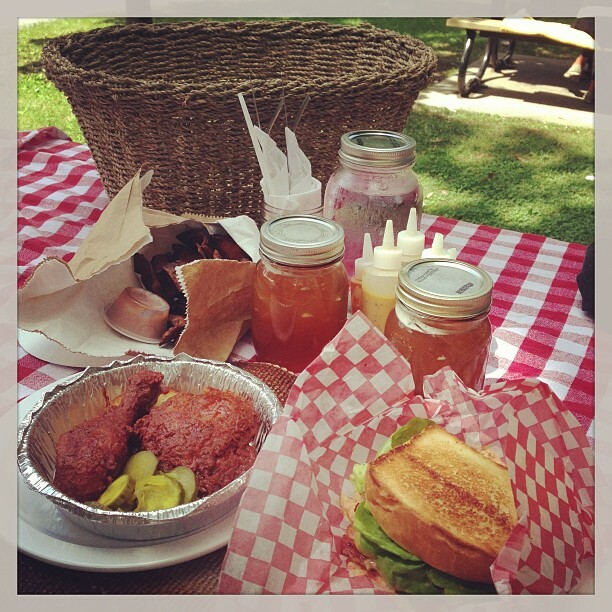 They wrap up all your food and some sauces in a picnic basket, and you can eat at the park across the street. 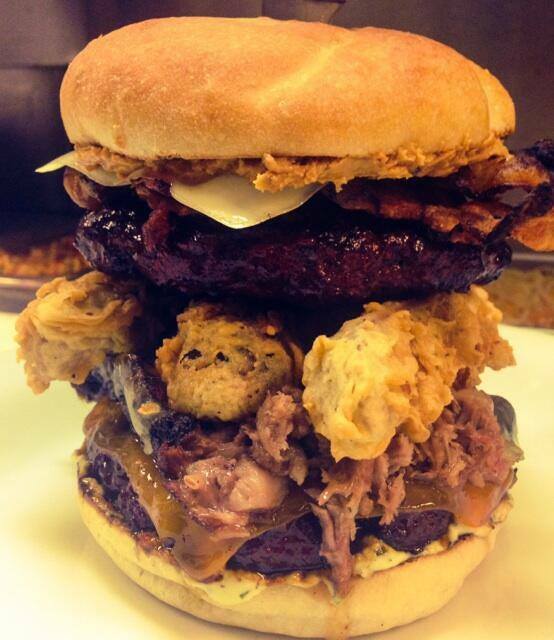 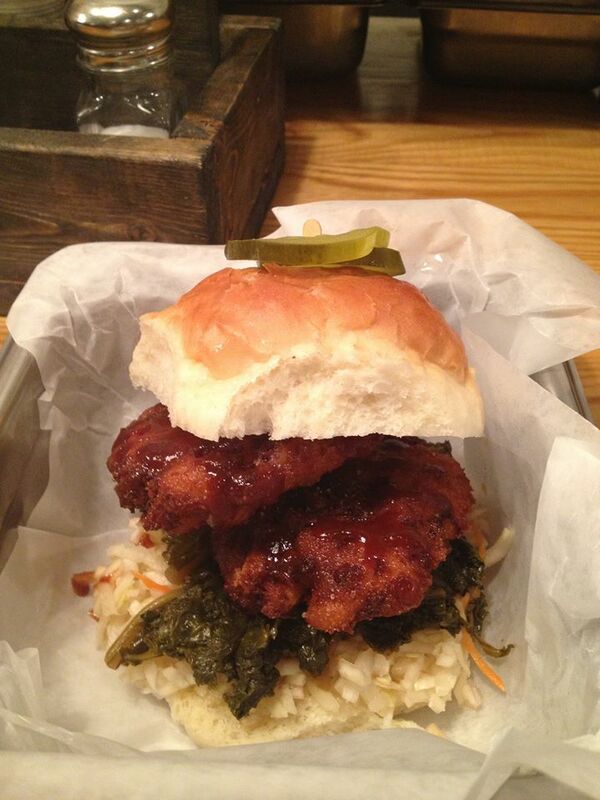 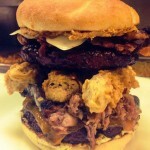 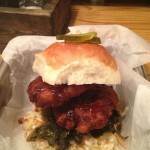 Dinette Triple Crown also has The Big Nasty, a deep fried chicken biscuit sandwich, as well as a killer pulled pork too. 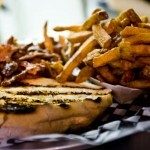 Open every day of the week from 11:00 am to 9:00pm except Wednesdays. 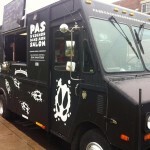 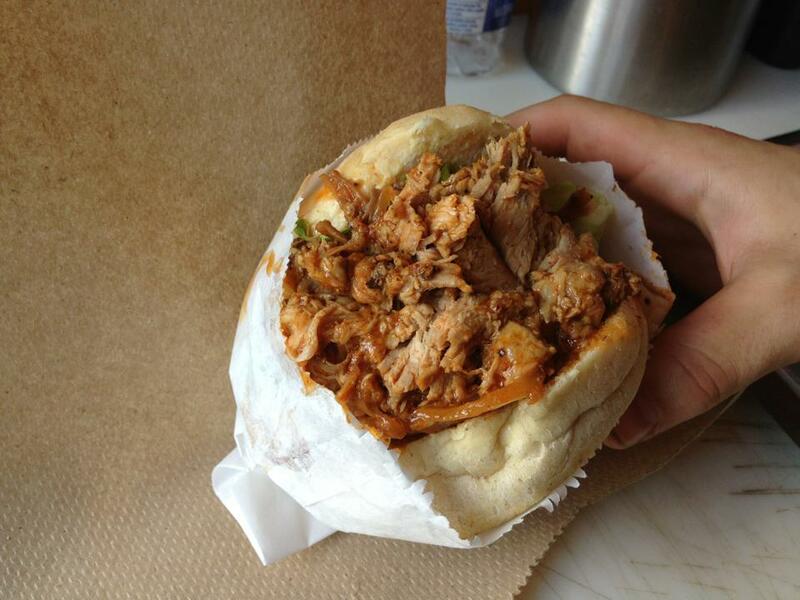 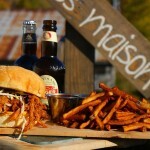 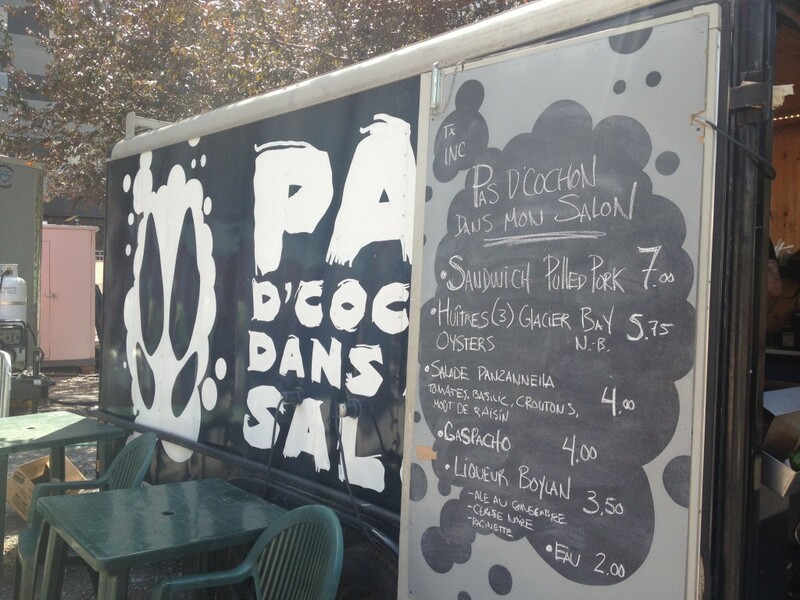 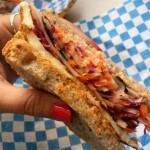 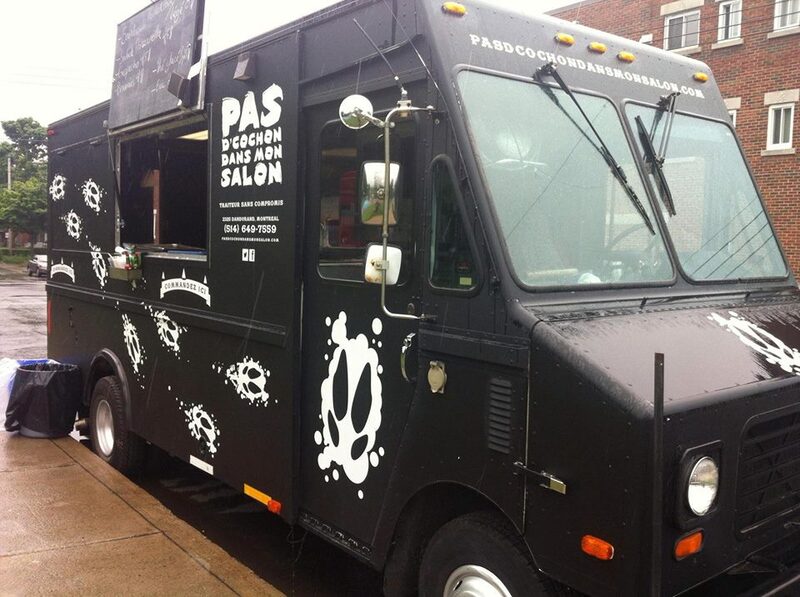 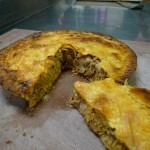 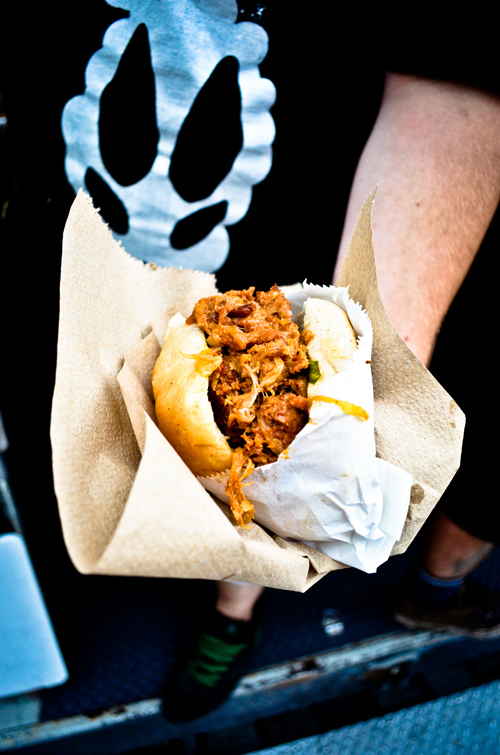 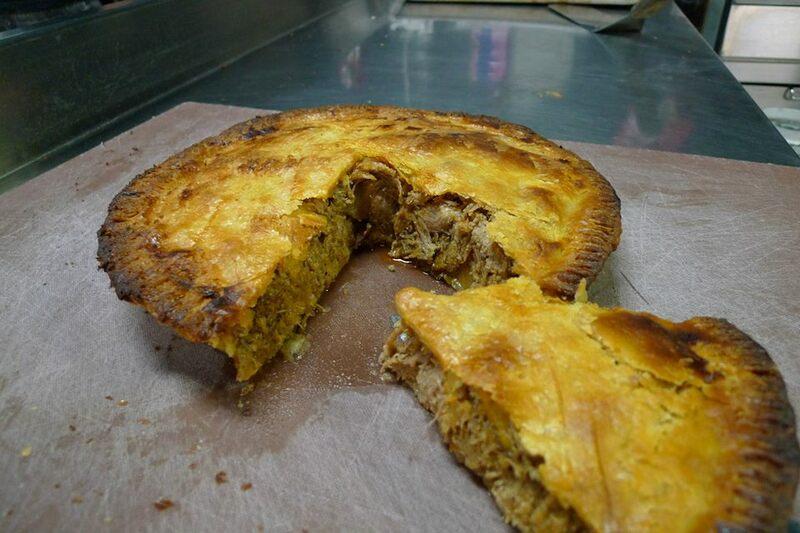 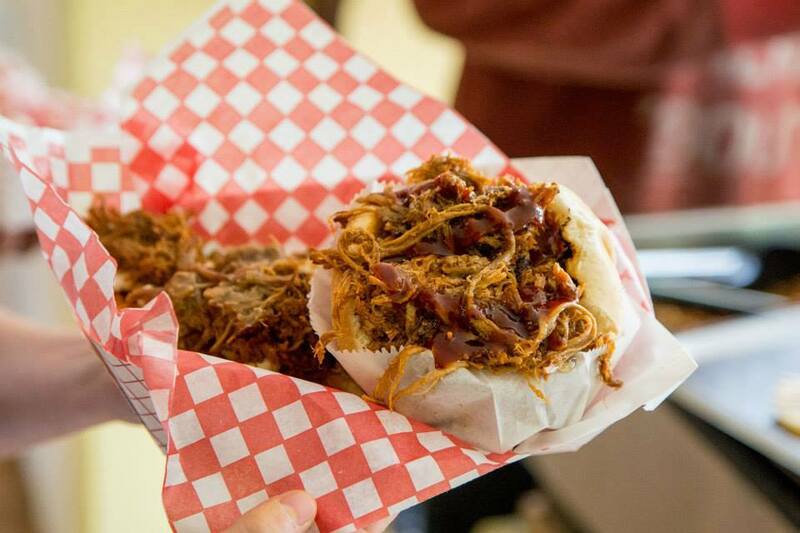 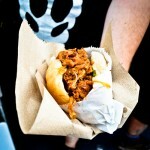 If you’re craving pulled pork, find the Pas d’cochon dans mon salon food truck. 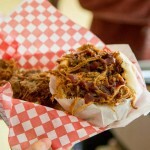 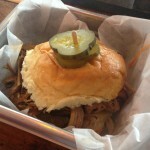 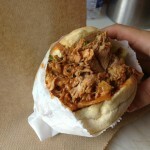 A generous serving, the pulled pork sandwich spills out of the bun which can easily feed two. 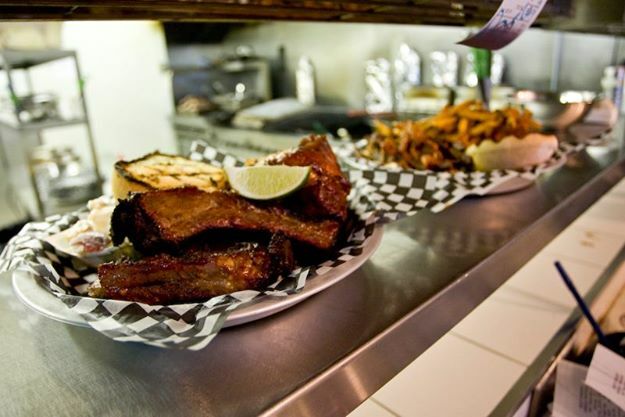 They have other BBQ specials, including fish. 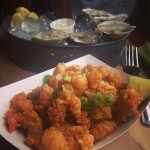 And if you think eating oysters off a truck is weird, think again, as the guys on the truck shuck them right in front of you to guarantee freshness. 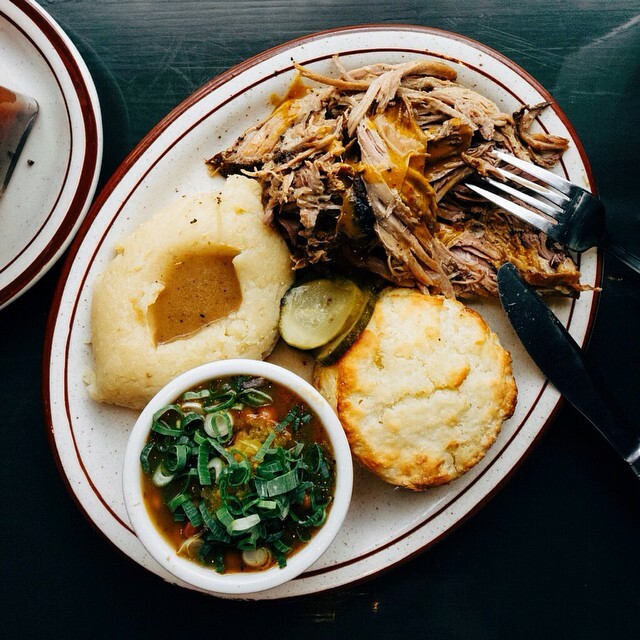 Looking for Southern-approved pulled pork? 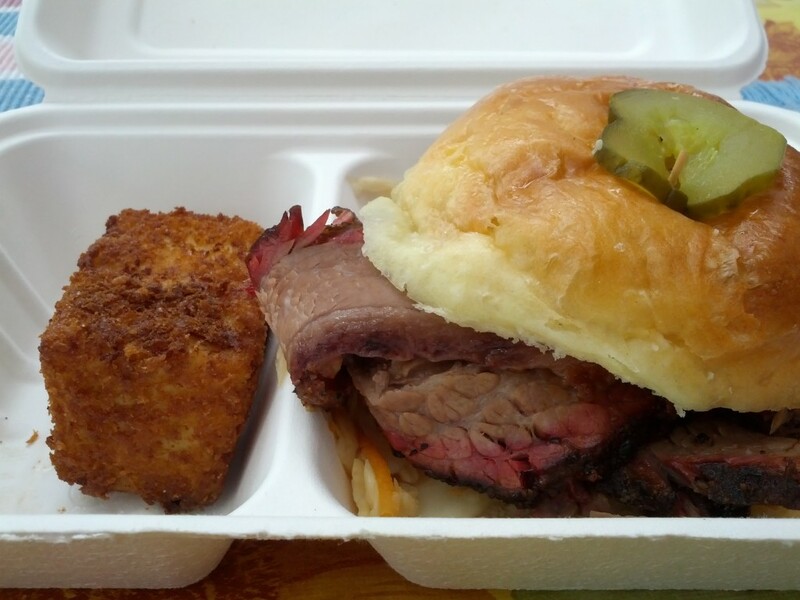 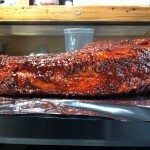 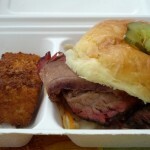 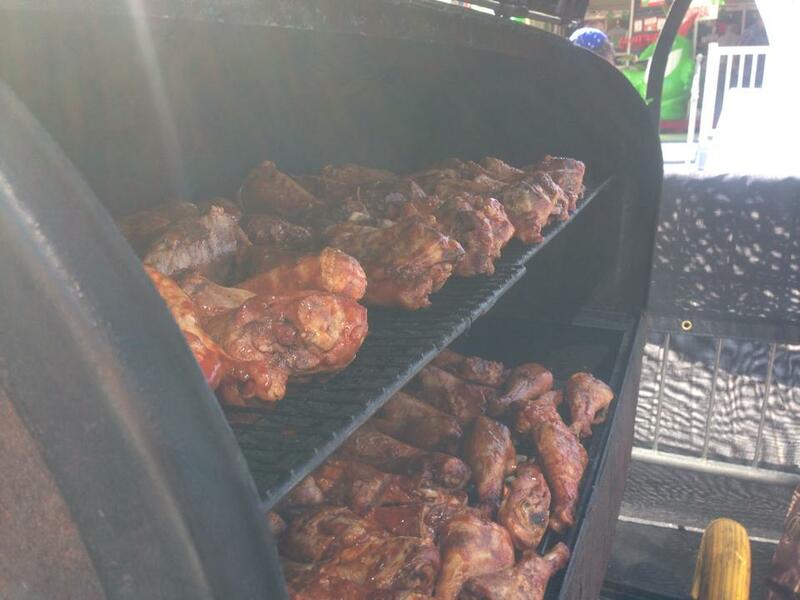 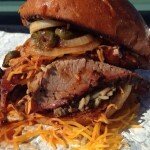 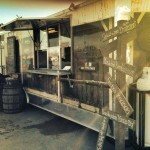 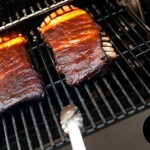 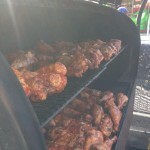 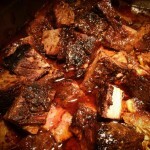 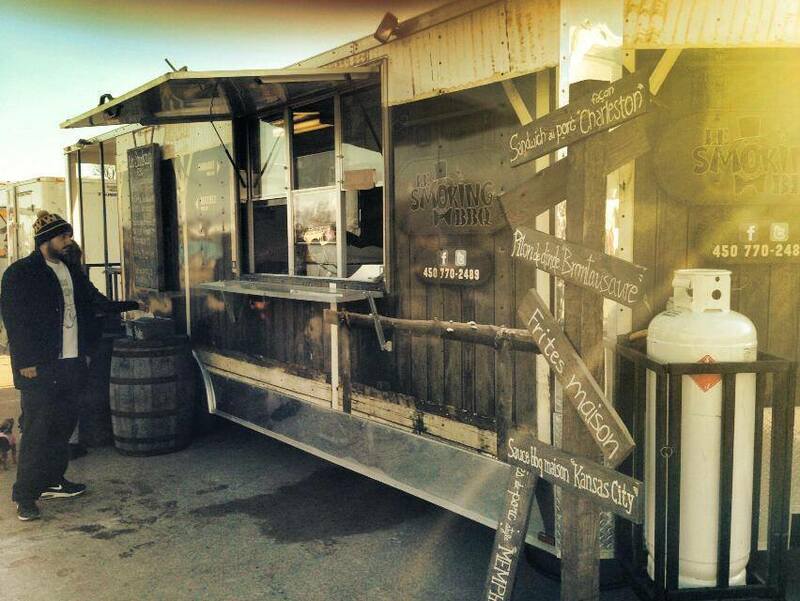 Check out Le Smoking BBQ’s food truck for some authentic BBQ. 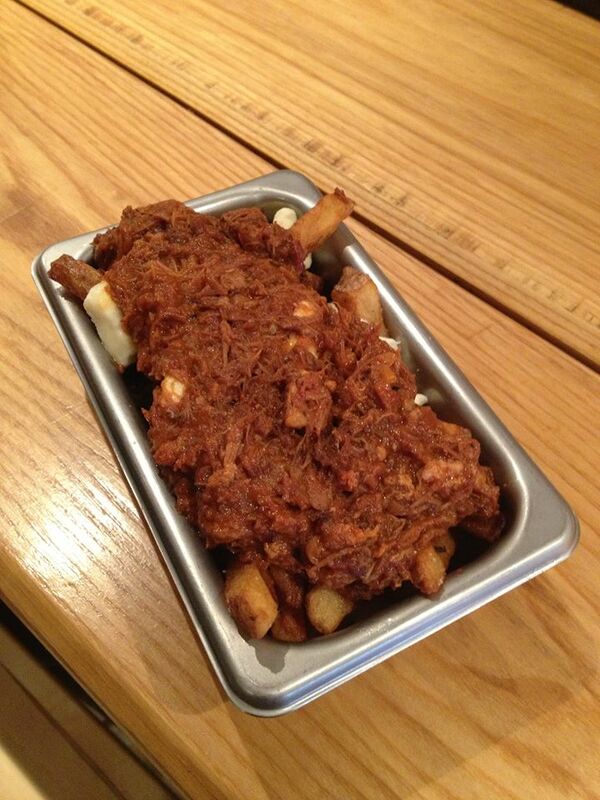 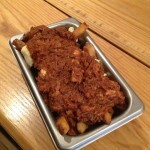 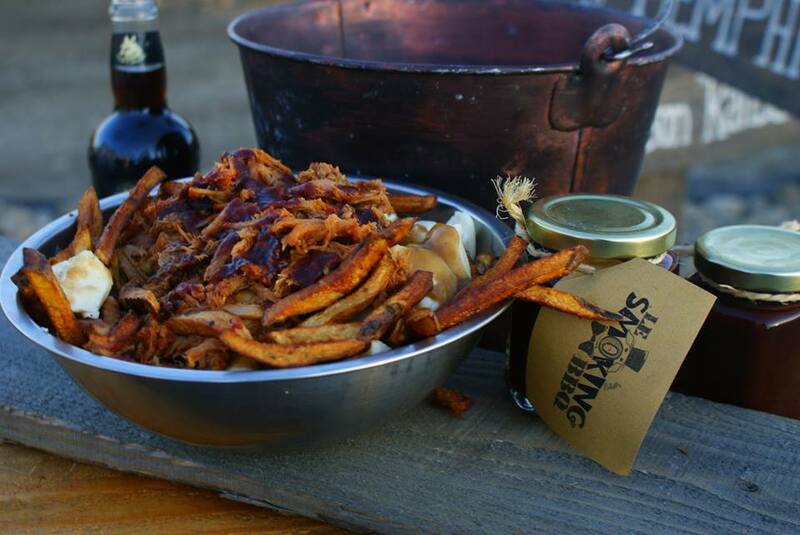 They smoke their meat for8 hours, and their famous pulled pork poutine is such a generous portion that it warrants a nap after it’s consumed. 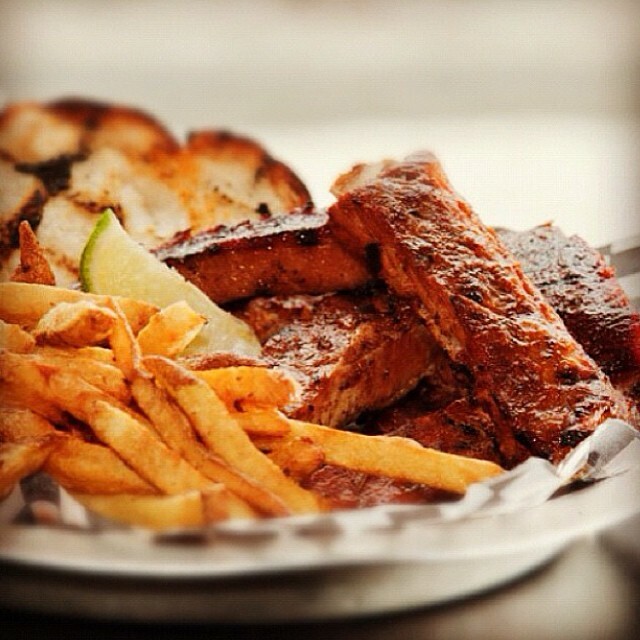 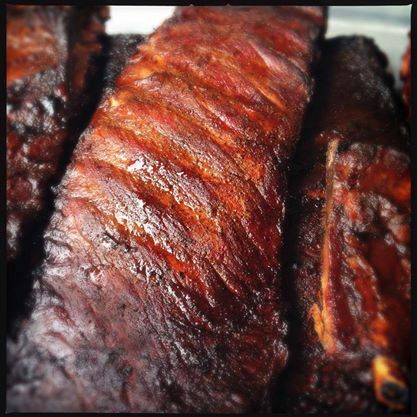 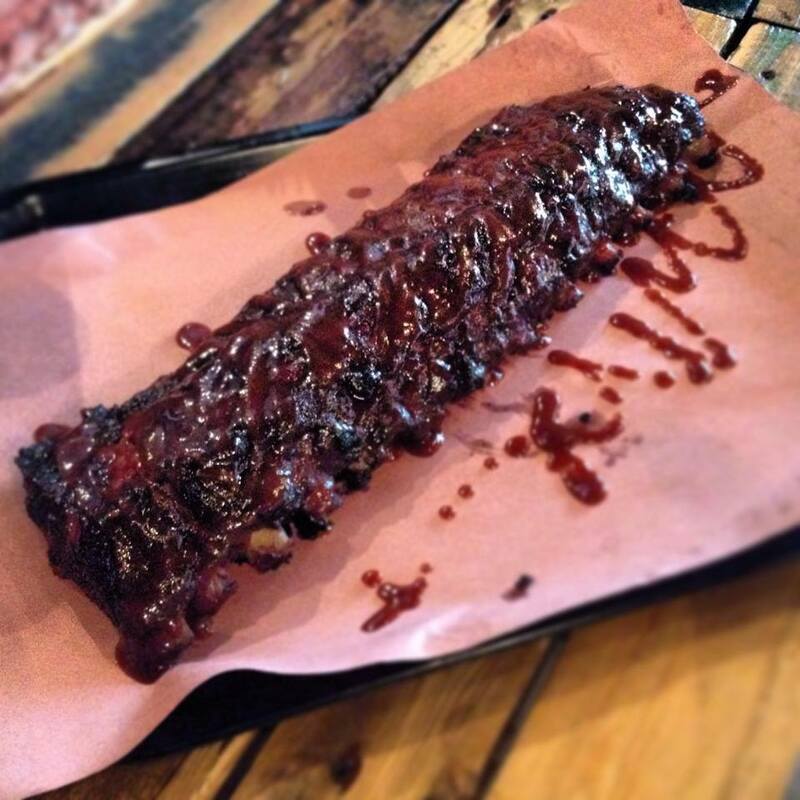 Don’t forget to check out their award winning baby back ribs. 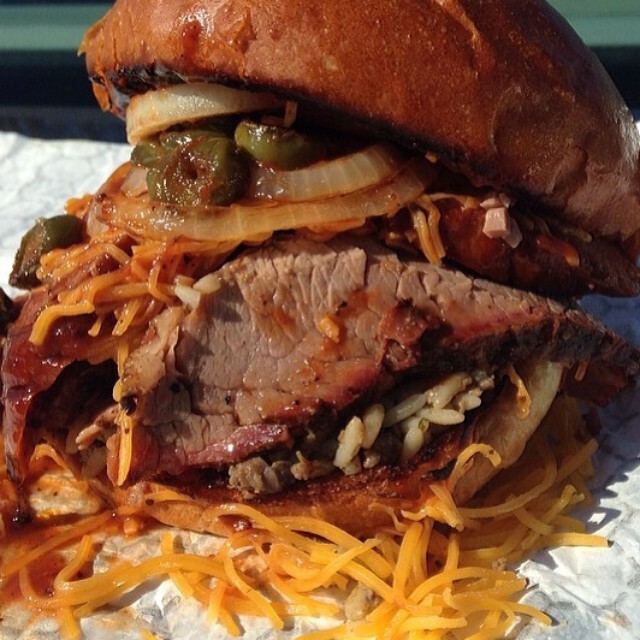 No one will fault you for stalking this food truck. Le Boucan is a small BBQ joint in the popular Griffintown area. 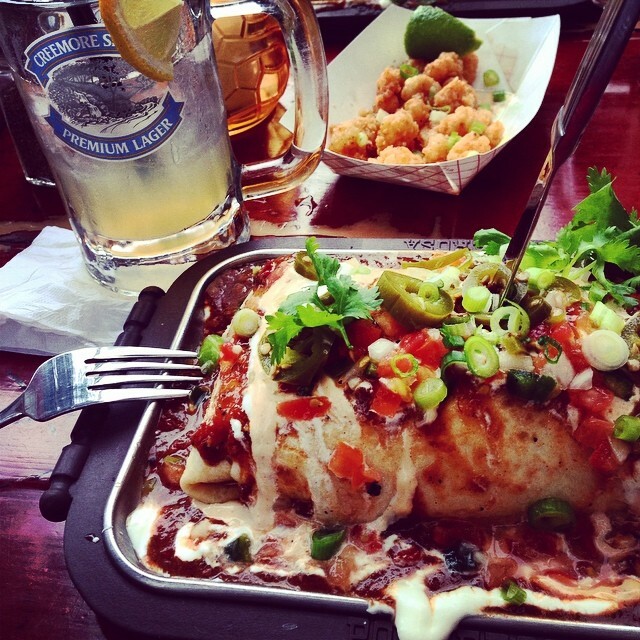 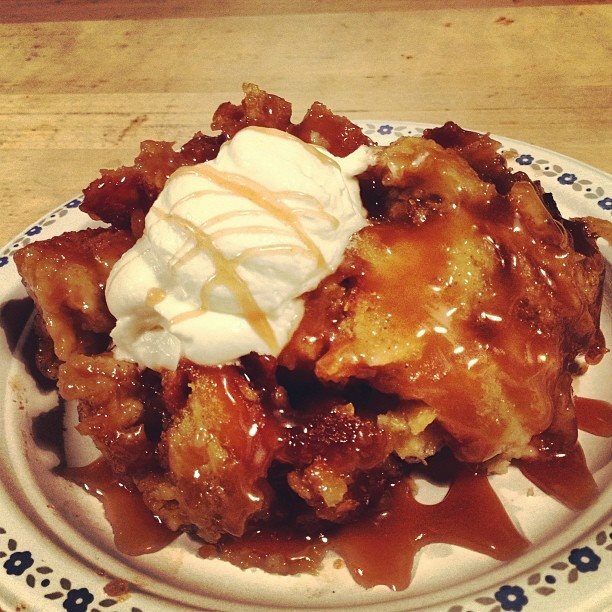 Don’t be afraid to get a little dirty once you get your meal. 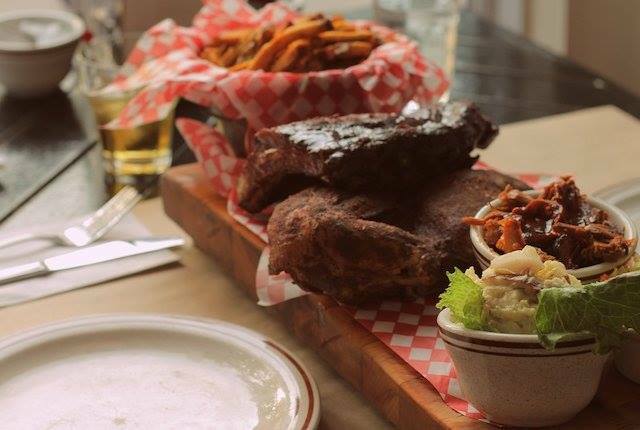 Whether you order their 5-Napkin burger or the “pit boss” platter, full of meat, you’ll be licking your fingers all the way home. 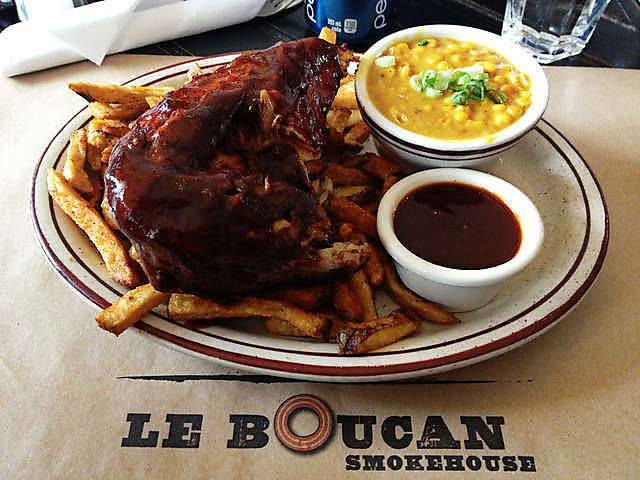 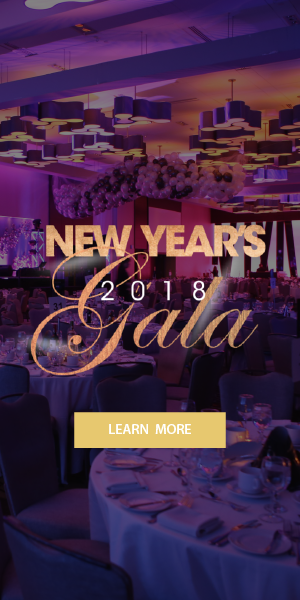 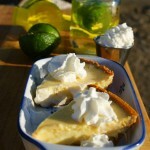 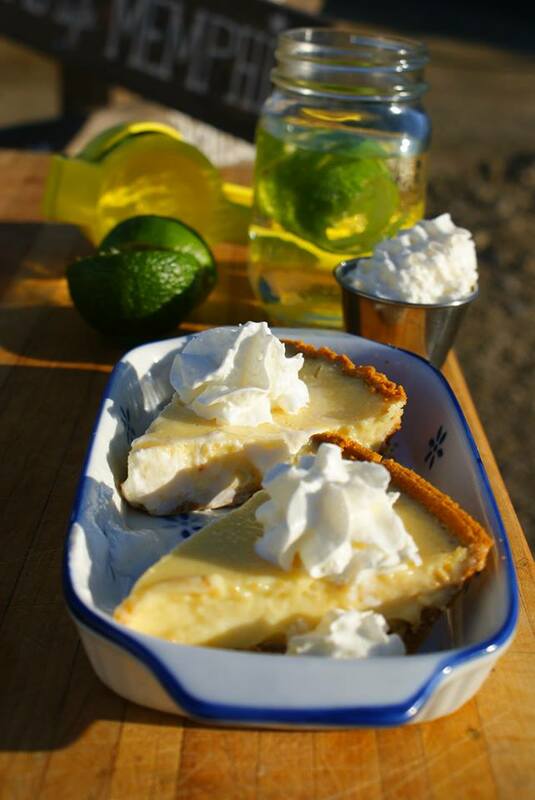 Wash it all down with a mojito pitcher and save room for Le Boucan’s delicious desserts, like traditional Southern buttermilk pie or their bacon brownies. 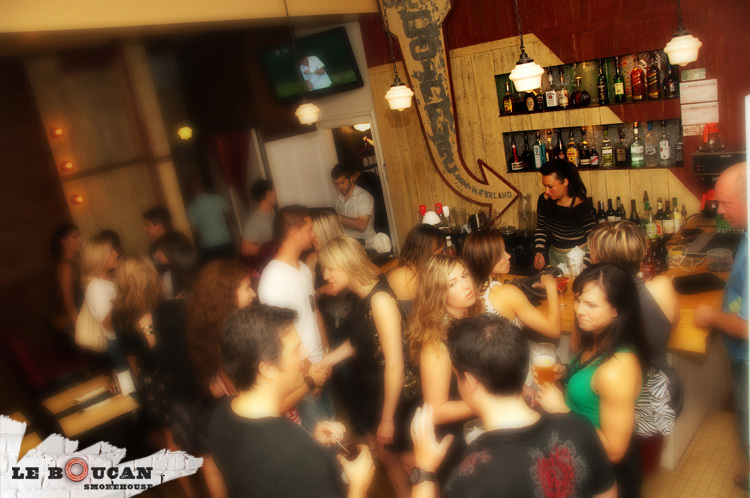 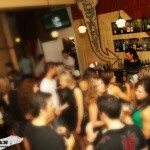 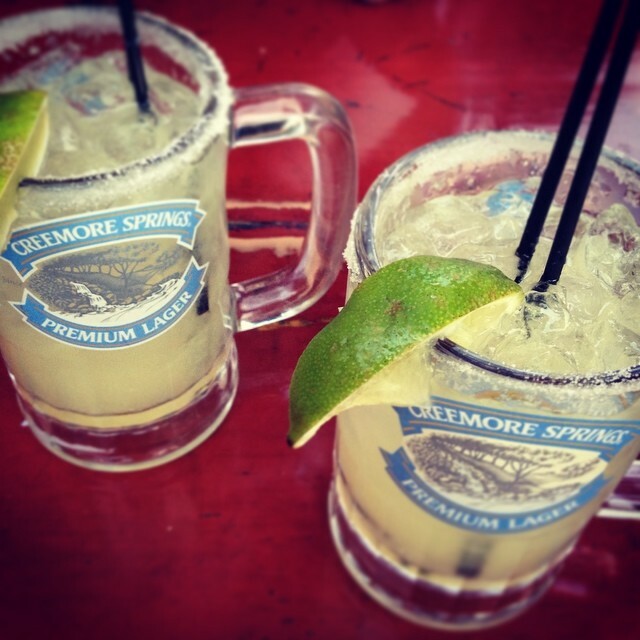 They are open every day of the week, with a great bar atmosphere. 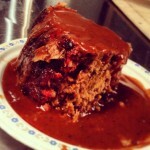 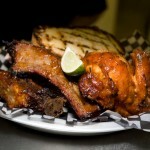 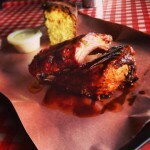 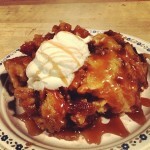 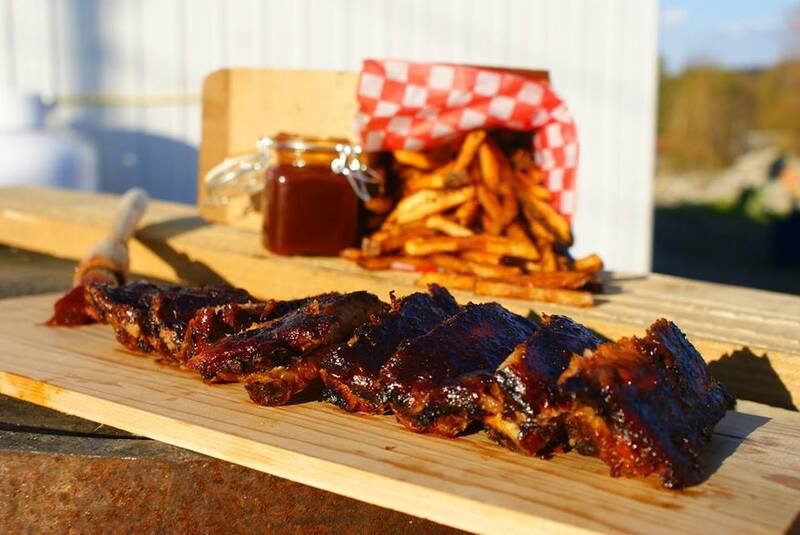 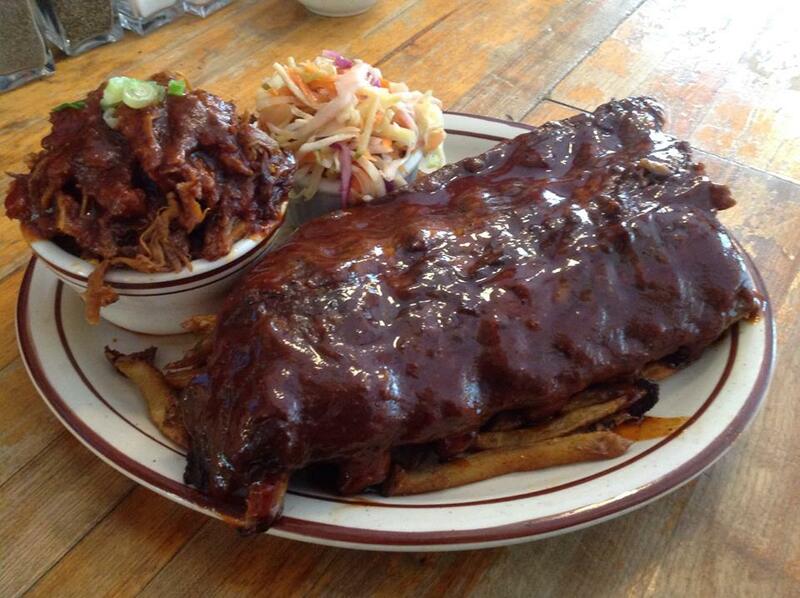 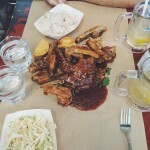 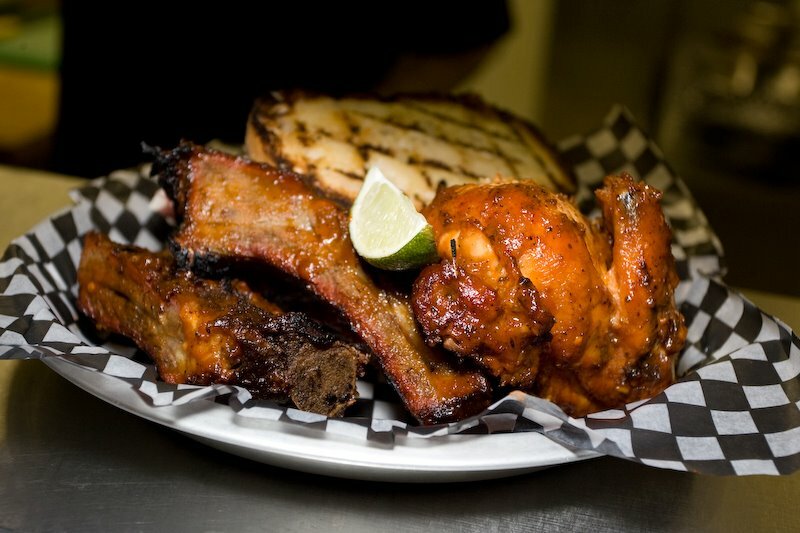 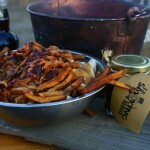 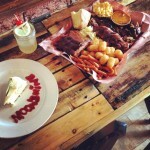 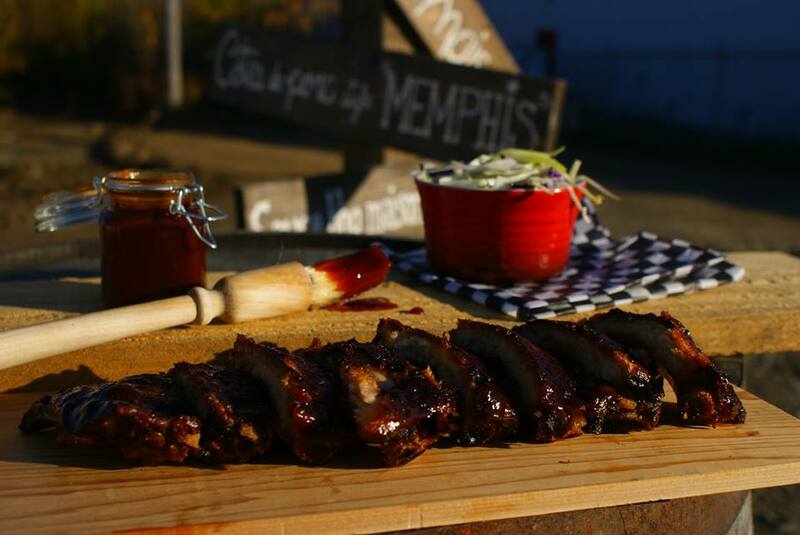 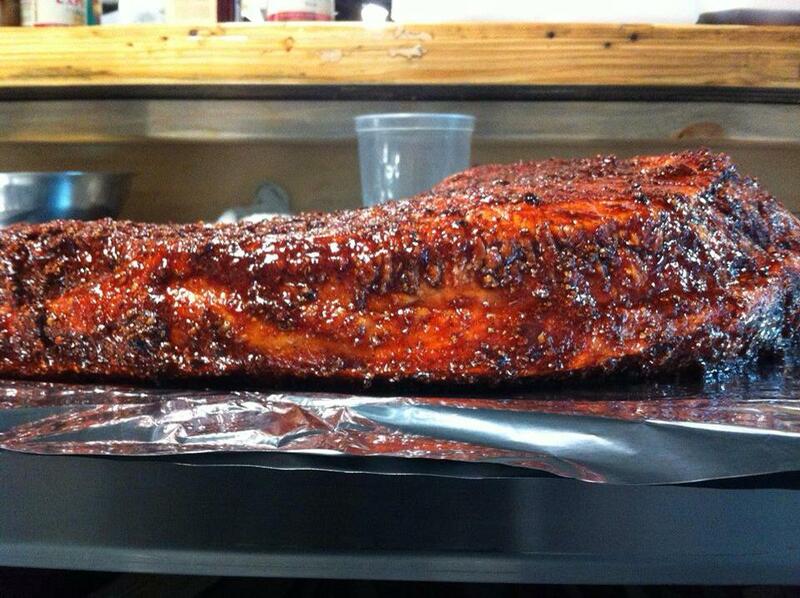 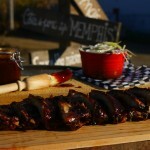 The newest BBQ restaurant in Montreal is Monshine BBQ in the Cote-des-Neiges area on Décarie. 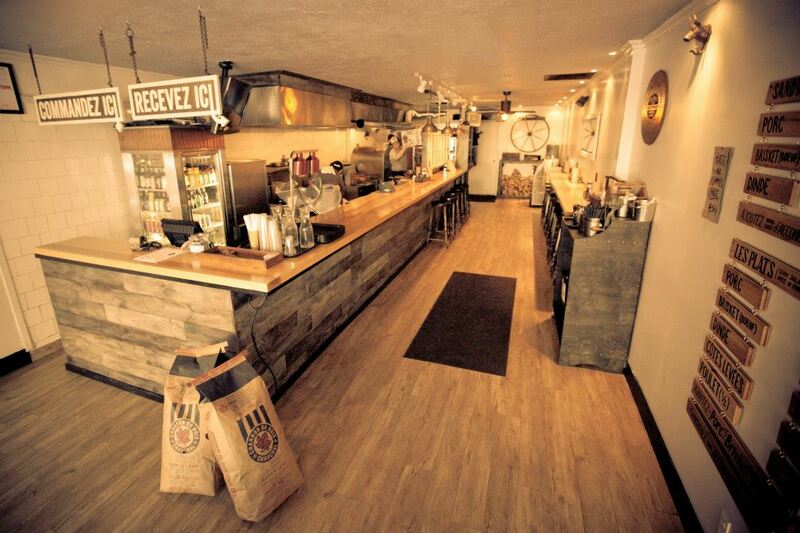 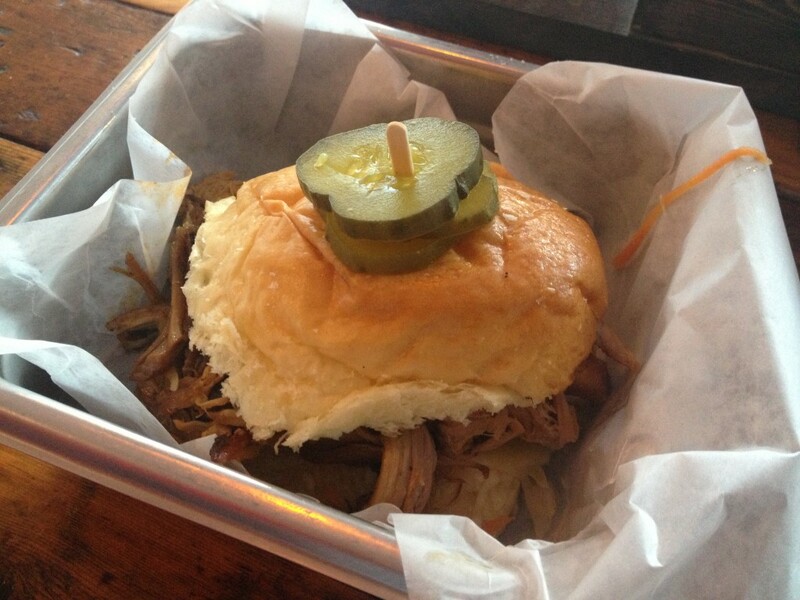 Their pulled pork and brisket simply melt in your mouth. 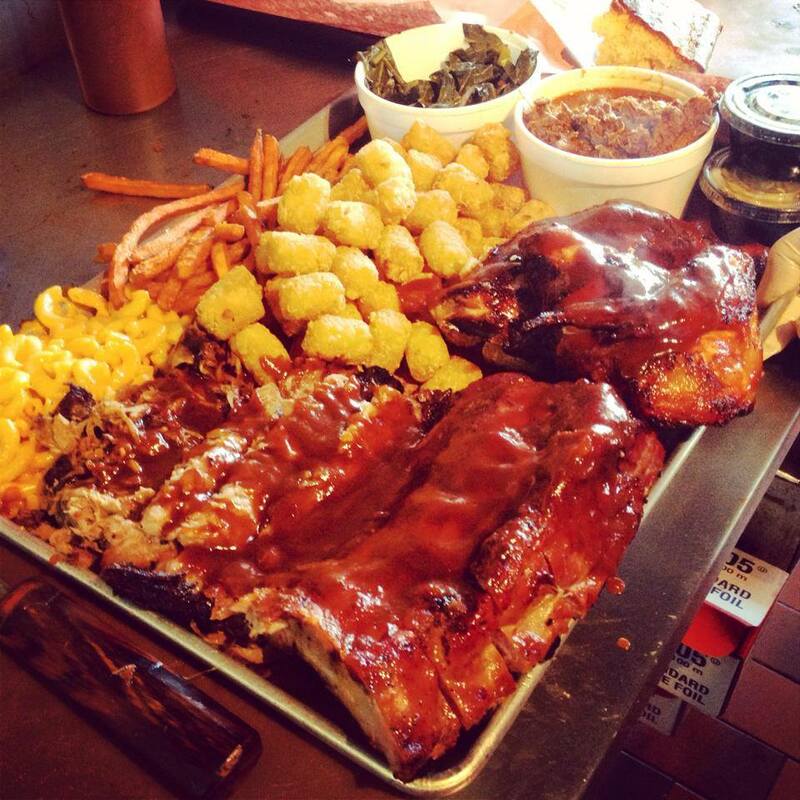 Order their Champion Platter, which is a ton of meat and amazing Southern side dishes like collard greens, corn bread, and tater tots. 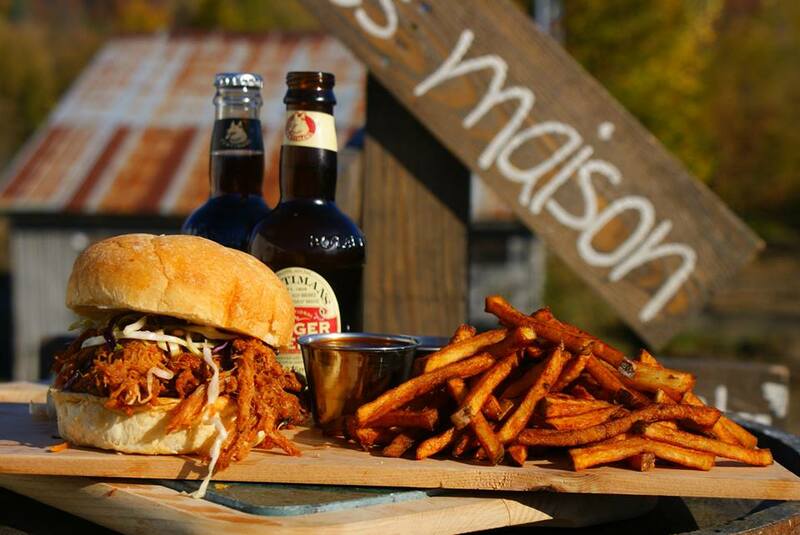 They even make their own beer to go with their barbecue. 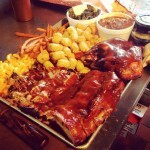 You will not regret a trip to Monshine BBQ. 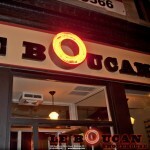 They are open for lunch Tuesday to Friday and for dinner Tuesday to Sunday. 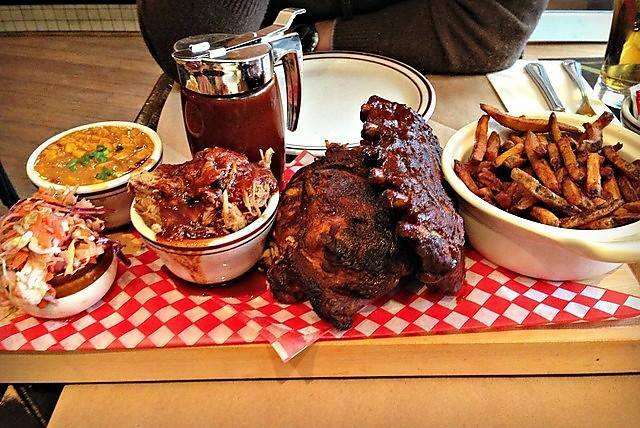 A veritable go-to in the Sud-Ouest of Montreal, Blackstrap BBQ has brought Memphis-style BBQ to Montreal. 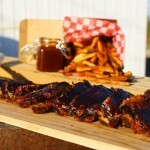 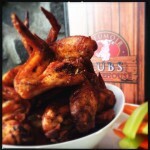 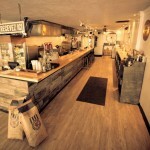 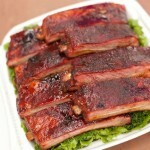 They have won numerous awards for their BBQ, and rightfully so. 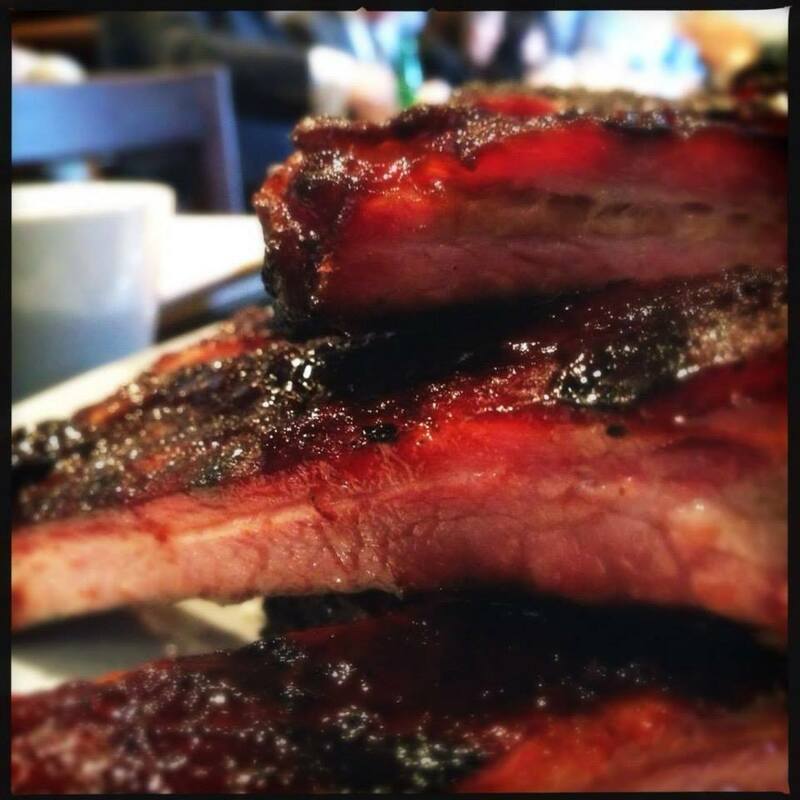 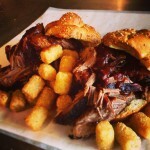 Try their slow-smoked brisket sandwich or dig in to some pork ribs. 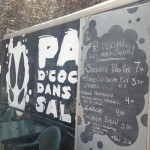 And don’t forget to try one of their many sauces. 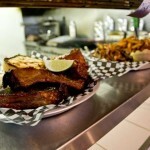 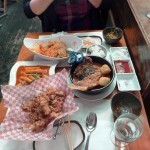 They also do take-out and delivery in nearby neighbourhoods. 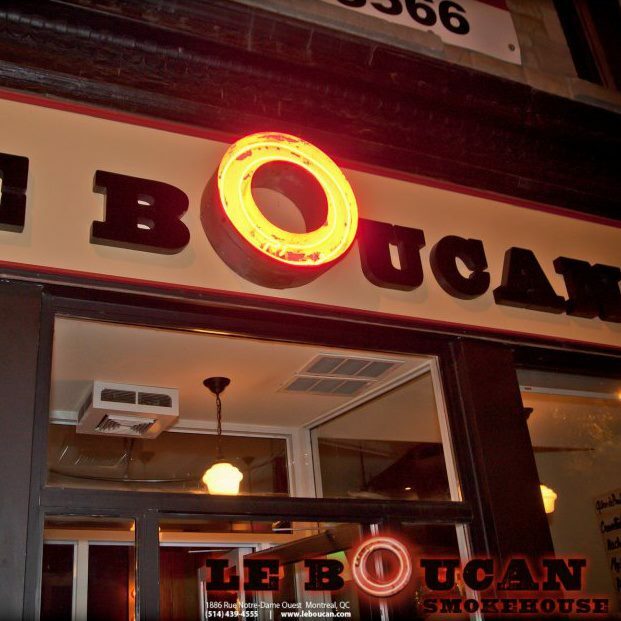 Open every day of the week from 11:00am to 9:00pm or until they run of meat. 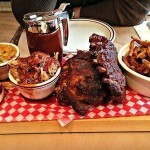 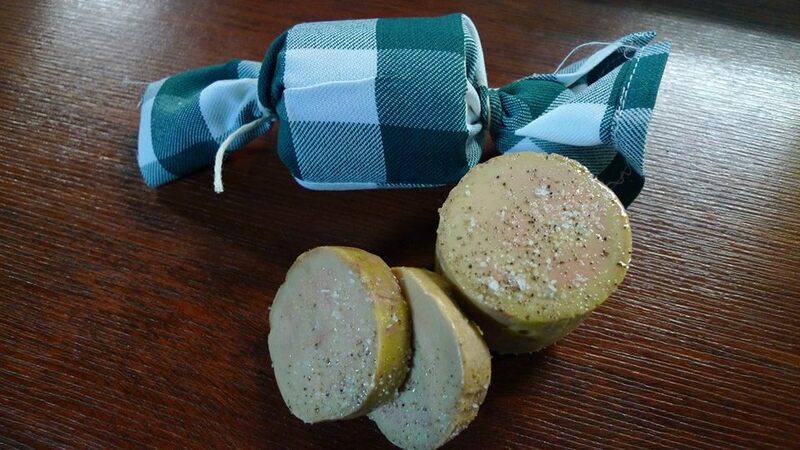 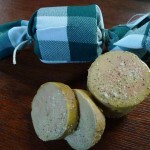 A little off the beaten bath, Fumoir Rubs is worth the trek to Laval. 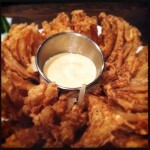 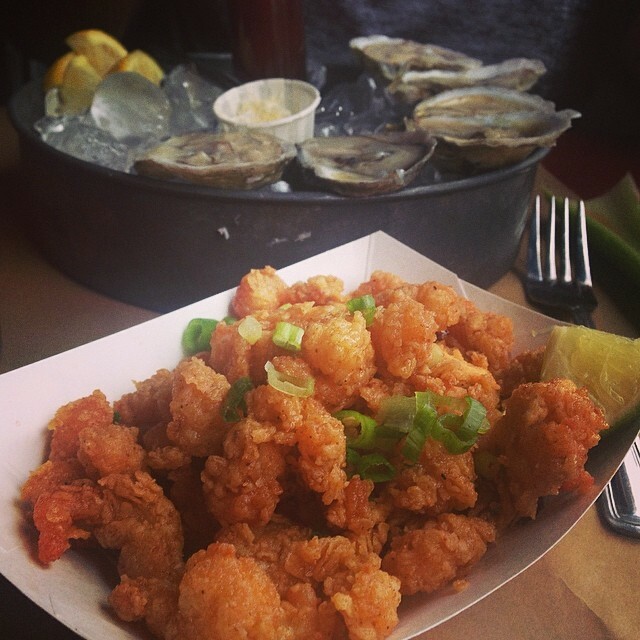 It has a large menu with fun appetizers, such as a Texan onion blossom fried in a buttermilk batter, and a Mississippi deep fried Kool-aid pickle. 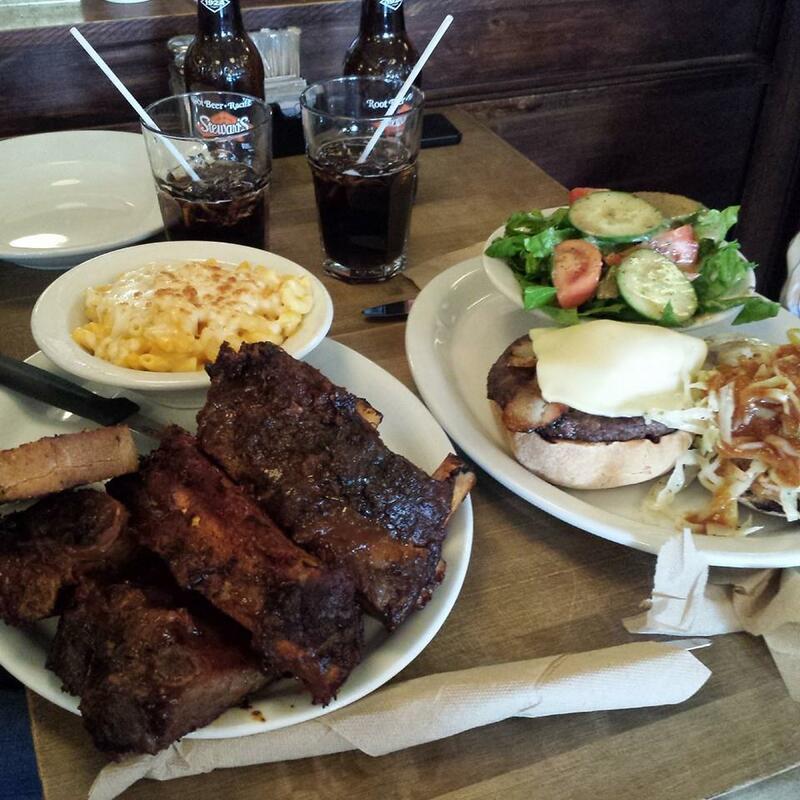 We were full before our ribs, Georgian chicken n’ waffle, and our 14 hour smoked brisket arrived. 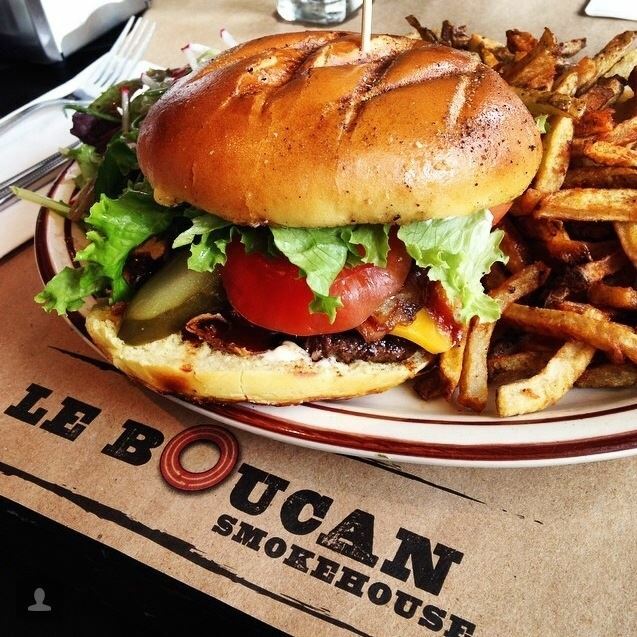 If you manage to have room for dessert, order the chocolate bacon; you won’t regret it. Fumoir Rubs is open seven days a week from 11:30am to 10:00 or 11:00pm depending on the day. 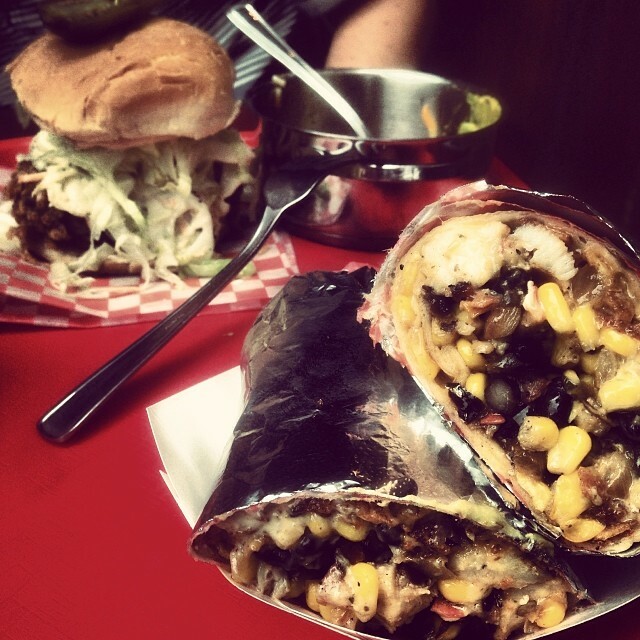 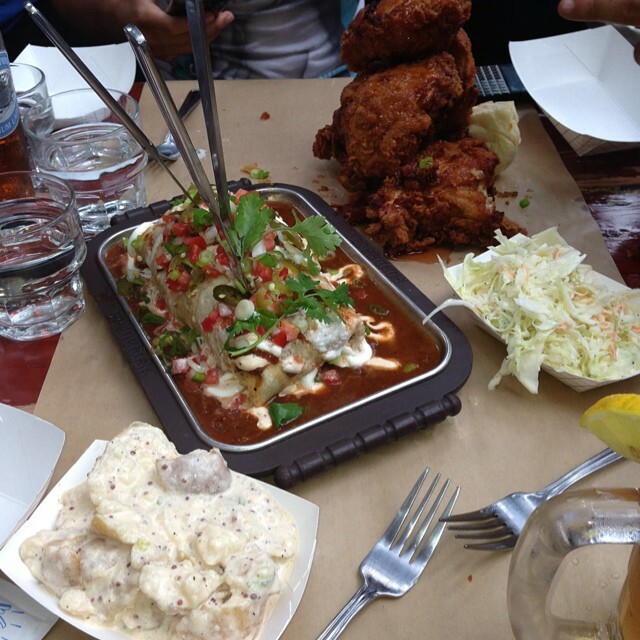 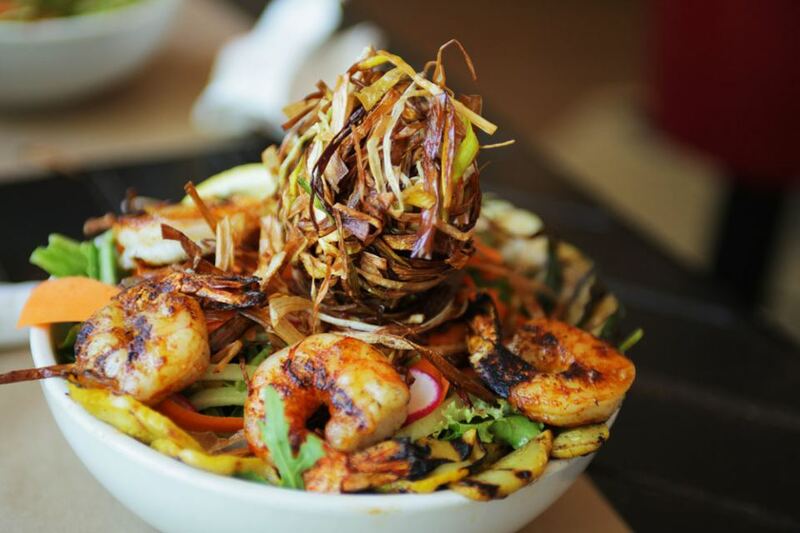 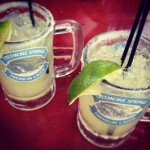 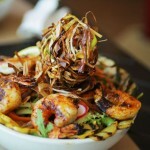 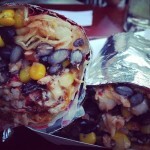 Located in the Plateau, Icehouse is the place to go to enjoy Nick Hodge’s Tex-Mex creations. The steak burrito is cheesy and the meat perfectly charred, the fried chicken is crispy and it comes in a bucket, and the nachos with crab are a must. Oh, and no one leaves Icehouse without at least one pitcher of their infamous Bourbon Lemonade. 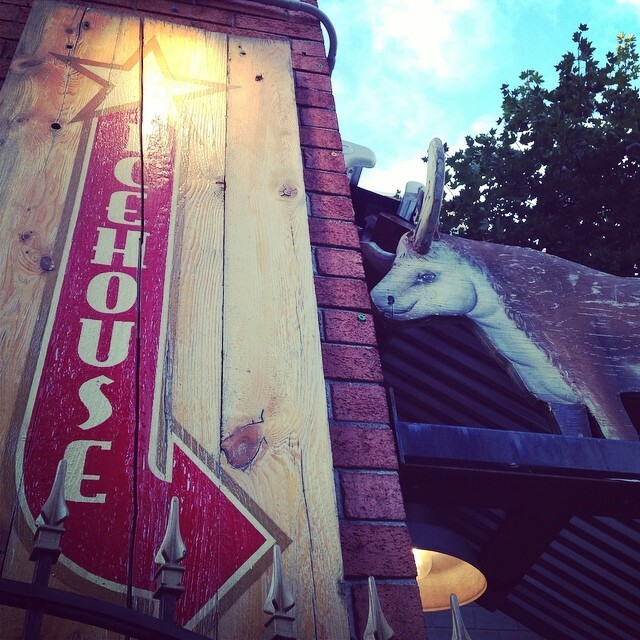 Open for dinner service every day and open late on Friday and Saturday, Icehouse is one of the Divas’ favourite spots to satisfy that Tex-Mex craving.